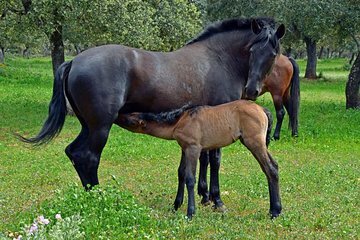 Visit one of Andalucia's bull and horse farms with admission to the Reservatauro Ronda near Ronda. Travel independently to this working ranch in a UNESCO Biosphere Reserve and take a guided tour to see the fighting bulls and Spanish horses bred and nurtured here. Learn about bullfighting, view the bulls and horses roaming free in the pastures, learn how they’re selected and bred, and see how bullfighters are trained. Choice of departure times available.